Have you heard recent buzz about a book touted as a “sleeping pill” for young children? The Rabbit Who Wants to Fall Asleep, written by Swedish psychologist Carl-Johan Forssen Ehrlin was published this year and has become an amazon.com bestseller. The book has gained worldwide notoriety with articles written about it on the Huffington Post, CBS News, and the Daily Mail. Parents are purchasing and testing out the book “guaranteed” to put children to sleep. As I picked this slim paperback, I noticed that it’s self published. One of the things that hurts a self-published book is poor quality packaging and illustrations. Although the lack of a professional published appearance hasn’t stopped The Rabbit Who Wants To Fall Asleep from becoming a bestseller, it’s a difficult hurdle for me to step over when trying to give a positive review. The pictures help illustrate the story in a cohesive manner, but they are not the quality I generally look for and the book has an overall amateurish, homemade feel. Here’s 8 tips to selecting good read aloud books. This story opens with instructions: how to read the bolded words, when to say the child’s name during the reading, when to yawn, and how to create the correct environment for sleep. There is also a warning that anyone hearing the story will feel tired, so don’t read this book to anyone who is driving or operating heavy machinery. Using the power of suggestion, lots of repetition, and word heavy pages the author taps into some of my favourite components for a great bedtime reading experience. Many picture books currently being published are simply too short for a good bedtime story. They have one sentence per page, lack complex language, and contain overactive illustrations that actually discourage the use of a child’s imagination by dominating the book. This book is a return to the days when stories were longer, quieter, and more relaxing. Unfortunately, it’s not really a story book – and completely misses the opportunity to be one. Here’s the low-down on why you should read aloud to your child. The Rabbit Who Wants to Fall Asleep is not the least bit entertaining or interesting. Roger visits characters like Sleepy Snail, Heavy Eyed Owl and Uncle Yawn who give Roger and the child hearing the book suggestions on how to relax and fall asleep. These characters have no personality of their own. Every encounter and dialog is meant to coach the child into feeling safe, relaxed and very tired. I imagine hearing this book is like listening to a “self hypnosis” cassette tape. The author uses the same tools with the goal of achieving a specific end result. I don’t doubt that this book will put many three and four year old’s to sleep, and if adults pick it up with that intent alone, they will reap the rewards of restful children. Not every child will respond to the repetition and sleepy themes, but those accustomed to bedtime stories will almost certainly be snoring by the end of the book. If your bedtime reading is all about getting your child to sleep, you might want to pick up a copy. If you expect something more out of your books, give this one a pass. For more good reads, Da Poppins reviews a bunch of books on the site. The Rabbit Who Wants To Fall Asleep – a sleeping pill for children? >Tell us, have you tried The Rabbit Who Wants to Fall Asleep with your children? Dana shares with us this The Rabbit Who Wants to Fall Asleep Book Review. Dana, Da Poppins, is a professional career nanny based in Vancouver, Washington, a graduate of the prestigious Northwest Nanny Institute and has over 20 years experience in the industry. Dana is a strong advocate for the benefit of reading and children’s literacy, is a talented scrapbooker, and writes the blog Da Poppins. Following up from the 2015 Australian Nanny Conference live panel discussion, we caught up with Australia’s Nanny To The Stars. Philippa Christian joins us for a candid interview to discuss her book “Nanny Confidential” (review coming soon) and also to share the details of how her career came to happen. Philippa, or “Pip” as she prefers, is one of Australia’s most highly regarded nannies and has provided her exclusive nanny services to the children of the international elite. From ditching paparazzi to cruising luxury yachts, it would seem Pip lives a life of luxury enjoying the heights of what some would say the ultimate “career-nanny” success. How does she do it? Well, we think it might just have something to do with that good old Australian genuine character. As a nanny to the Stars, Pip has her feet firmly on the ground..
Tell us how you went from being a small town girl from Victoria to an elite VIP nanny in Hollywood? When you put it like that it does sound a little strange but really it was just an ordinary set of circumstances that started me on a fabulous journey. I used to live in Ballarat as a student boarding at university where I was completing a degree in Early Childhood and Primary teaching. I had always been a babysitter when I lived at home and it had been a hard decision to move to Ballarat but I thought it seemed the best option at the time. Some weekends I would visit my family in Melbourne because I suffered from a mixture of homesickness and missing my Mum’s cooking but often it would be because I had been asked to babysit by friends I had known for years. On one of these weekends, I had to oversee a sleepover for a group of young girls including the daughter of Shane Warne. Things literally changed for me overnight as Brooke asked her mum the next day if I could be their babysitter and that was that! The job soon became more than just babysitting and they asked if I would be interested in becoming their nanny. I had to do some very hard thinking; here was an opportunity that might never come my way again, or should I continue with my studies in Ballarat? My new job took me to places I could only have dreamed of and gave me the chance to see what being a real nanny was all about. It was fabulous. Since then I have worked for many high-profile families and at the same time gained the necessary qualifications to help me with my new role as a professional nanny. It has been a roller coaster of a ride that has taken me around the world working for people I would never have imagined I would ever meet. But at the end of the day, it has made me realise that caring for children, in my hometown or far away, was the best decision I ever made. Did you go through an agency? No I have never worked for an agency because I was very fortunate to have found my clients through recommendations. Often I would be working in a luxury hotel in Melbourne where many international families, other times I would be offered jobs through my nanny friends in America. Australian nannies worldwide have a very good reputation. If you really love caring for children and don’t mind long hours and you have some very good references, it’s quite easy to find yourself with a great job. What’s it like to be an elite VIP nanny? It’s a wonderful job. Of course it can be extremely tiring and quite demanding but at the end of the day you are helping some of the best people in the world, the little ones, and that’s what makes it all worthwhile. You have to be prepared to travel quite a lot and be flexible as plans can change within hours and above all you are there to look after and protect the children. The responsibility high, but so are the rewards. How do you balance the needs of the children, with the demands of your employers, whilst negotiating travel, time differences and heavily scheduled days? I suppose it comes with practice, but being flexible helps enormously. Once you have an idea of what is expected of you (and this can only be gauged by getting to know the family) it becomes a case of give and take. You soon learn how to create the best balance for all concerned. 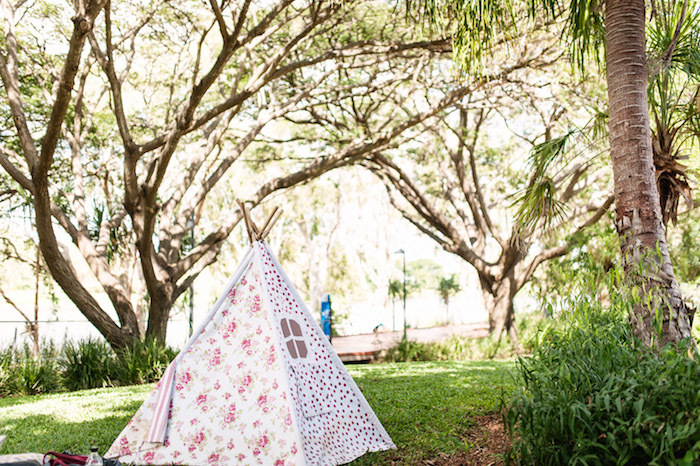 What’s your favourite travel location for working with kids as a travel nanny? There are so many places I’ve loved travelling to with kids! Earlier on in my career while I was primarily based in Australia, I loved going to Port Douglas with families. Internationally, Hawaii has fortunately been a favourite with many families, and visiting anywhere in California (especially Palm Springs has been wonderful). Cruise ships and private yachts seem like the dream holidays (they usually are), but when working with children they can be tricky! When you work as a celebrity nanny, a lot of the time you do feel like you are on holidays due to your surroundings. I must say a few months of living in a mansion in Malibu close to the beach is always nice! One might call you a super nanny. This term is quite common these days. Is there actually an Australian super nanny? No, there is no Australian Supernanny. Many years ago there was ‘THE Supernanny’, Jo Frost who has now moved on. Since then the company has decided to delegate one supernanny for each country. America has Deborah Tillman as their supernanny, who is a lovely lady and who I’ve been fortunate to get to know. The French supernanny unfortunately passed away, there was also a Spanish supernanny, and a few others based internationally. In December of 2012 I filmed the official pilot for the proposed Australian Supernanny television show with Warner Bros., but the show has been shelved for an indefinite period of time. Interesting. I’ve heard that some nannies claim to be the “Australian Super Nanny,” but how did they get to call themselves that? There is no official Australian Supernanny so I suppose anyone using the name has a lot to live up to! The problem is that the ‘Supernanny’ title is a global trademark and so cannot be used legally unless the proper authority and rights have been agreed upon. Let’s talk work-life balance.. The nanny lifestyle can be demanding at the best of times, but as an Elite VIP nanny do you find it event more difficult? Luckily it has been a blessing for me to have been able to keep in close contact with my family and friends with the help of Skype calls, emails and texts. When I was working for months at a time overseas, my family and friends would always make the effort to visit me which was so wonderful. But I have to say, there really is no place like home! Are you still working as a nanny? I’m no longer working as a full-time nanny, although I do miss it a lot. I still visit lots of families I’ve worked for and volunteer my time if they need my services. Do you hope to one day have a family of your own? Having a family of my own would be my biggest dream come true. I’ve only ever wanted to be a Mum. I think if and when that day does come, it will be one of the happiest days of my life. 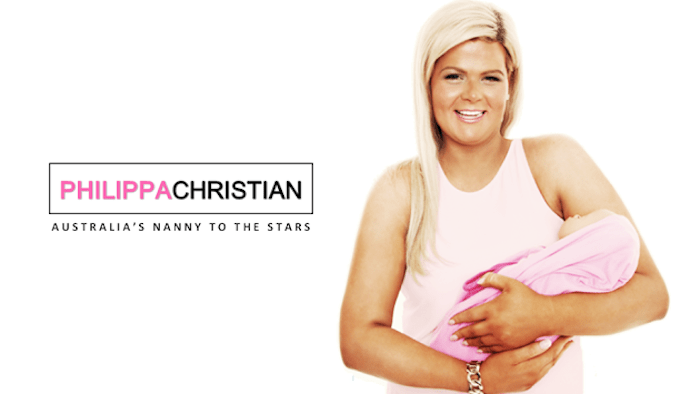 Tell us how the name “Australia’s Nanny To The Stars” came about. I was originally operating under the brand “Number 1 Nanny,” but it didn’t quite fit for a number of reasons. Then as a guest on a morning show, the title the used for me was “Australia’s Nanny to the Stars’. I don’t really know to this day who came up with it, but it fits perfectly! Do you have a business mentor that helps you with your vision and plans as you continue to take your Nanny to The Stars brand to new heights? To begin with I didn’t have anyone helping me with any form of business. Since publishing my first book – Nanny Confidential – I have been overwhelmed with the response from the public and the number of opportunities that have presented. I’m now lucky to have a fabulous team around me, most of whom I’ve known for years either having been clients or contacts. It’s wonderful to be surrounded by caring people who share my vision and goals. What’s coming next in 2015/2016 for you? There are a lot of new and exciting projects to launch soon, some still secrets and others I can finally tell you about. I have a line of baby products which are all totally new ‘world first’ products – nothing like you will have ever seen before to launch very soon. Plus after the success of my first book, Nanny Confidential 2 and 3 are on their way. I have a blog that’s soon to be launched and I’m also very excited to be taking on some public speaking events. Some nights it’s hard to get to sleep with so much to think about! Wow it all sounds very exciting Pip. 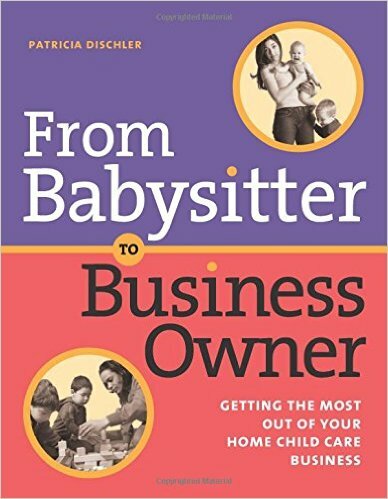 The elite nanny industry is certainly not for everyone, but you make it look easy! I’m thrilled to see your success, and also to have you as such a positive role model and mentor to the evolving Australian nanny industry. Thanks for joining us, and we hope to chat again later in the year.